Op-Ed: Is Cape Town’s housing market following London’s? Given South Africa’s history of land ownership alongside the abysmal lack of urban land reform, white South Africans, who comprise roughly 10% of the population, still own nearly 90% of the land, much as they did at the end of apartheid. In the absence of any serious attempt to reverse the legacy of the segregationist Group Areas Act through targeted interventions in urban spaces, one sees that well located urban properties remain concentrated in white hands. By FAZILA FAROUK. Earlier this year, when Sadiq Khan of the Labour Party became London’s mayor, his election to the top office at the helm of one of the western world’s most prominent cities made global headlines. Nobody expected the son of a Pakistani immigrant and a Muslim at that to become the mayor of London. Sadiq Khan was on a winning ticket. The standout issue that swung the mayoral vote in his direction was his important campaign for affordable housing. This was even recognised by New York’s mayor, Bill de Blasio, who made special reference to Khan as a “fellow affordable housing advocate”, in a congratulatory tweet. It is a well established fact that London has become a city for the super-rich. Brexit jitters aside, which have led to a slight cooling down of prices, London’s properties remain gold bars for investors. Estate agents currently report a growth in interest from Far East investors on the lookout for value-for-money investments. London’s transformation into a property investment destination has attracted capital to the city, but its benefits are not evenly spread. Speculative property purchases, commonly described as buy-to-let and buy-to-leave, have benefited elites while hollowing the city of its middle class. A jet set crowd owns most of the properties in London’s swankier suburbs. These homeowners, who include a large number of foreigners, have drained the life out of once vibrant neighbourhoods. Their absence for extended periods results in ghost-like apartment buildings where the lights stay off for months at a time, eliciting contempt from locals. Free spirits no longer prevail in once bohemian strongholds like Portabello Road where a one-bedroomed apartment now costs £500,000. Even professionals with regular jobs – doctors, lawyers, nurses, dentists, journalists and teachers – struggle to find affordable housing in London. What happens when a doctor who’s on call can’t afford to live anywhere near the hospital that employs him? Surely this has consequences far beyond the individual concerned. Market led housing provision has unravelled the fabric of London’s society. As money has a way of trickling upwards in neoliberal market economies, there’s been a massive transfer of wealth from the middle class to the rich. The Guardian reports that a quarter of Britain’s 100 richest people increased their wealth through property investments last year. Simultaneously, home ownership among Britons has fallen to its lowest level in 30 years, signalling more wealth concentration. People under the age of 35 find themselves faced with the prospect of becoming permanent renters under the rule of an unscrupulous landlord class. The average Londoner now spends up to 60% of her income on rent alone. At this rate, a recent study finds, it would take up to 24 years for young Londoners to save towards a deposit for a new home. But Londoners have staged a rebellion against the status quo. Khan’s election as mayor represents a line in the sand. Having recently completed his first 100 days in office, Khan has reiterated his commitment to “first dibs for Londoners”, a policy that would see homes marketed exclusively to locals for the first six months before being offered to international buyers. Khan supports a 50% affordable housing target on new developments as well as rent control. The “London Living Rent” – based on income levels, not a market rate – is currently being developed by his administration. So how does Cape Town compare? The housing crisis in both cities bears striking similarities. Just like London, Cape Town is witnessing a transfer of wealth to elites via the property market. But Cape Town’s housing crisis is also exacerbated by the apartheid era’s long shadow. A recent Mail & Guardian report points to “new tax and survey data, (which) suggests that 10% of the population own at least 90-95% of all assets” in South Africa. One can assume that property makes up a large share of these assets. Given South Africa’s history of land ownership alongside the abysmal lack of urban land reform, white South Africans, who comprise roughly 10% of the population, still own nearly 90% of the land, much as they did at the end of apartheid. In the absence of any serious attempt to reverse the legacy of the segregationist Group Areas Act through targeted interventions in urban spaces, one sees that well located urban properties remain concentrated in white hands. This is extremely visible in Cape Town and is probably what prompted Finance Minister Pravin Gordhan’s comments about the challenge of the enduring nature of the apartheid city during his recent appearance at a Cape Chamber of Commerce debate on the economy. Far from social cohesion, Cape Town is undergoing social cleansing. Due to its unregulated housing market even the white middle class has joined the ranks of the marginalised, as the City Bowl becomes an impenetrable fortress for those with middling pay cheques. In a town dominated by creative bohemians navigating the precarious waters of the gig economy, getting a foot on the property ladder is virtually impossible. A lot of this can be attributed to estate agents pushing property prices to stratospheric levels alongside stringent mortgage lending conditions set by the banks after the 2008 financial crisis. Cape Town’s housing market is further inflamed by predatory buyers from abroad while locals are kept out of the loop by shrewd estate agents clamouring for cash sales from rich foreigners. “Pied-à-terret for swallows” is how agents advertise homes in trendy suburbs like Camps Bay where mere apartments fetch as much as R30-million. One might imagine that the traditional stomping grounds of the middle class, so-called good value suburbs like Gardens and Vredehoek, are still accessible. But this is no longer the case. In these neighbourhoods two- and three-bedroomed flats sell for anywhere between R3-million to R6-million. 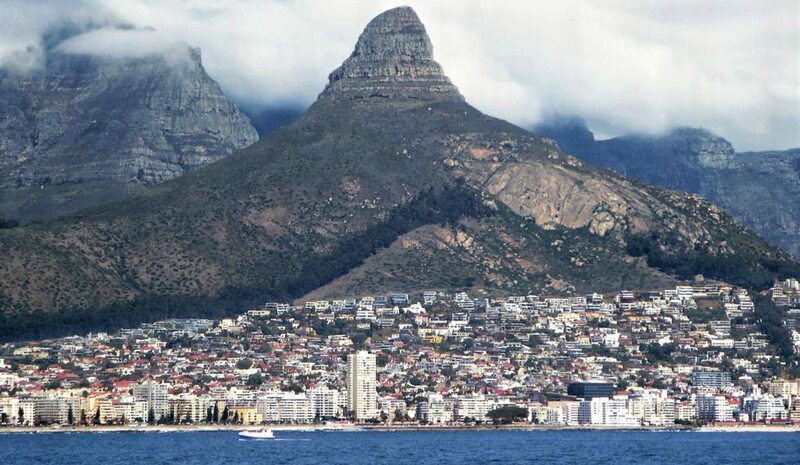 Most of Cape Town’s City Bowl properties are pitched at Europeans as second homes. They, in turn, exploit the weak rand to mop up the city’s properties. The Financial Times reports that “sales to foreigners in the Cape Peninsula soared 28% over the November and December 2015 holiday season compared with the year before”. Consequently, in the second quarter of 2016, the annual price increase for Cape Town properties stood at 16.1%. This is the third highest rate of housing inflation in the world, surpassed only by Vancouver and Shanghai. Adding fuel to Cape Town’s housing crisis is the city’s status as South Africa’s tourism capitol. Thanks to a demand for short-term rentals, tourism diverts valuable housing stock from the affordable housing sector. There’s a great deal of down raiding taking place in this segment of the market as investors snap up properties for short-term rentals. Last year Air BnB reported that more than half of their South African listings were in Cape Town. Cities such as London, New York and Barcelona are reeling from Air BnB’s impact on their housing stock. This is why affordable housing is an important issue for mayors Khan and De Blasio and also why Barcelonans elected the radical housing activist, Ada Colau, as their mayor. But while Cape Town suffers the same fate as these cities, alarm bells are not ringing in the Mother City. Apart from housing activists rightfully fighting to protect the rights of poor families facing eviction in areas targeted for gentrification, such as Woodstock, the issue of affordable housing for everyone in the City Bowl, including the middle class, remains marginal. There are no calls for “first dibs for Capetonians” or for “a living rent”. Instead, wealth concentration by global elites is celebrated by a city that takes more pride in its world-class status than its ability to look after its people. Cape Town’s predominantly white middle class surrenders far too easily to the rich. Perhaps afraid that eliminating the gatekeeping function of wealth would open the floodgates to greater racial diversity in prime neighbourhoods, they glumly accept the status quo. Rather like the racial prejudice that led to conservative white Britons voting for “Brexit” against their own interests, similar racial prejudice drives paradoxical behaviour among white Capetonians who welcome rich Europeans to plunder the city anew even as it undermines their own future sustainability. Indeed, the media recently fawned over a R290-million Bantry Bay house sold to a German couple for breaking the R100-million price barrier. It’s nothing short of a tragedy when the decadence of the oligarch class becomes the object of such veneration. The only thing worse is the passive acceptance of the public. Cape Town’s crisis is sustained by unquestioning loyalty to the free market, which has no place in the delivery of an important social good such as housing. Fazila Farouk is the founder and former publisher of The South African Civil Society Information Service (sacsis.org.za), a social justice commentary service that operated from 2008 to 2015. Photo: Sea point and Lion’s Head by David Stanley via Twitter.